I do not know how the board meeting at world renowned slot developer Bally Technologies went when they were brainstorming for this slot title but I’m pretty sure whoever suggested it must have been high on whatever Mary Poppins was taking because chimneys are certainly not the first port of call for a slots theme in my opinion! Chimney Stacks is All About the Stacked Wilds! 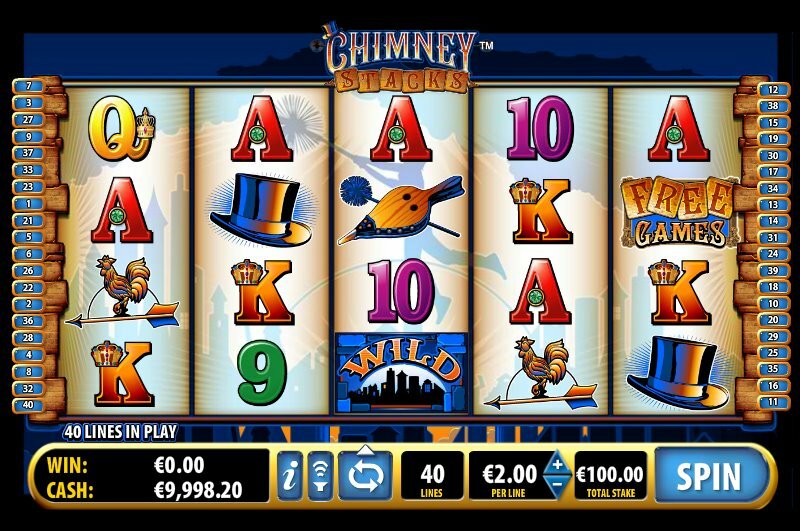 Chimneys have been chosen as the theme for this slot though and it is a 5 reel, 40 payline slot. The main pulling point for this slot is the inclusion of Stacked Wilds. Do you see how they’ve done this now? Chimney Stacks… Stacked Wilds… it is all beginning to make sense now! The betting range for this slot is fairly wide with minimum bets from 0.50 credits per spin and maximum bets rising as large as a potential 500 credits per spin meaning that this slot caters for any type of budget be it great or small. Symbols across the reels are all things Victorian such as a top hat, wind blower for a chimney and a weather vane. There are also the standard 9 through to Ace symbols to ensure that slots players know what they are letting themselves in for. The reels are packed full of Stacked Wilds and this will be great news for slots players that love to hit those winning combinations. It means the pay outs are smaller but the wins come more frequently because the number of potential winning combinations increases compared to your average slot due to the high number of Stacked Wilds that appear across the reels. It is also possible to get your hands on at least 10 free spins. 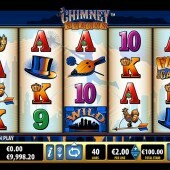 The free spins are triggered if you hit the Free Games symbols on reels 1, 3 and 5 simultaneously. I cannot tell you how frustrating it got when I hit them on two of those reels and the third one narrowly missed out on showing up. Still, all part of the fun and games of slots playing! Chimney Stacks is one of the more random slots from Bally Technologies. I’m not too sure if it will hit the popularity heights of the epic Mayan Treasures slot or go down as famously as the iconic Wild Huskies slot but it does have a lot to offer and I would certainly recommend that you give it a try. Free spins and Stacked Wilds… is there really much more us slots players want for a cheap thrill?